At last weekend's Pebble Beach Concours d'Elegance, GM issued images of a new concept to journalists. The company would say very little else about it. Was it a preview of a rival for the future Mercedes-Benz S-Class Coupe? 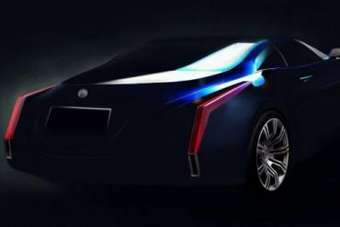 We'll see this design study at a motor show in 2013 - most likely Detroit in January. For now, we have only GM's sketches plus a couple of images posted on GMinsidenews.com. Next year looks like being a good one for GM to get people thinking about the idea of a big Cadillac two-door. Especially when the replacements for the Jaguar XK and Mercedes-Benz CL-Class, as well as a concept preview of the Audi A9 are all set to appear within the next twelve months. Are those who seek to flaunt material wealth in those countries where it has seemed insensitive to do so for the last five years ready to do so again? If they are, some juicy profits no doubt await the premium brands that are right now readying these new 2+2 temptresses.